Do you know who you are, Methodists? I wonder if that would be one of John Wesley’s first questions for contemporary Methodists. It was a driving concern for him throughout his leadership of Methodism in its beginnings. Over and over again, Wesley defined, described, and reiterated what he did and did not mean by a Methodist. Wesley really wanted Methodists to know who they are! Over the past several weeks, I’ve found myself reading Wesley’s essay “Advice to the People Called Methodists.” I initially read the essay because I was curious to revisit the advice he gave to Methodism in its first decade. A Methodist is someone who pursues holiness of heart and life with zeal and laser-like focus. A Methodist believes that holiness requires avoiding all sin. A Methodist believes that holiness requires concrete expressions of love for others, whether they are easy to love or not. Finally, a Methodist believes that holiness requires Christian community because fellowship and accountability are essential for avoiding sin and growing in love for God and others. 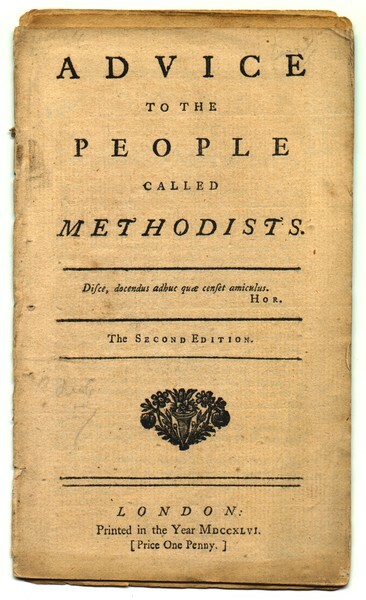 While the title “Advice to the People Called Methodists” suggests that Wesley’s focus was advising Methodists, more than half of the essay was spent simply defining and clarifying what Wesley meant by a Methodist. Indeed, Wesley’s first words of advice really continued to refine what was (and was not) meant by a Methodist. Your principles are new, in this respect, that there is no other set of people among us (and possibly not in the Christian world) who hold them all in the same degree and connexion; who so strenuously and continually insist on the absolute necessity of universal holiness both in heart and life; of a peaceful, joyous love of God; of a supernatural evidence of things not seen; of an inward witness that we are the children of God; and of the inspiration of the Holy Ghost, in order to any good thought or word or work. This part of Wesley’s advice is essentially a condensed form of Wesley’s well-known (and typically misunderstood) sermon “Catholic Spirit.” Wesley urged Methodists to be generous towards those who are not a part of this particular “people called Methodists.” He was not suggesting that “opinions, outward modes of worship, and ordinances” are irrelevant and a matter where Methodists themselves can agree to disagree. I mean, your making it a rule to abstain from fashionable diversions, from reading plays, romances, or books of humour, from singing innocent songs, or talking in a merry, gay, diverting manner; your plainness of dress; your manner of dealing in trade; your exactness in observing the Lord’s day; your scrupulosity as to things that have not paid custom; your total abstinence from spirituous liquors (unless in cases of extreme necessity); your rule ‘not to mention the fault of an absent person, in particular, of ministers, or of those in authority’, may justly be termed new. To go back to the beginning of this post: Wesley’s first piece of advice is interesting because it is more of a continued description of what makes a Methodist a Methodist. Wesley is urging Methodists: Know who you are. Be true to who you are. At this stage I can hear one of my seminary professors: So what? Is there anything that we can glean from Wesley’s definition of a Methodist and his initial advice? Does this have anything to say to Methodists today? First, Wesley reminds us that context matters. In 1745, Methodists found themselves in a “peculiar circumstance.” Wesley realized that God was doing a new thing and he was determined to do all that he could to support it. This essay can serve as a helpful call to think more deeply about our “peculiar circumstance.” What is God up to in our midst? What is the Spirit doing? How can we best cooperate with the ongoing movement of God to seek and save the lost? How can we best cooperate with the ongoing movement of God to reconcile and heal creation? Second, in order to answer the previous questions faithfully, Wesley reminds of our fundamental need to know who we are. We cannot be faithful to who God has called us to be if we are not clear about who God has called us to be. Perhaps the real crisis facing Methodism today is a basic identity crisis. I continue to be convinced that before Methodism can move forward from the various places it seems to be stuck, we must first remember why we were created by the Holy Spirit in the first place. We need to know our own history. We need to return to our calling as a distinct people. If Wesley was right that Methodism was raised up by God, then, it will only continue to have life and vitality as long as it continues to be led by God. Wesley discussed what may be the major challenge to following God in his second word of advice. This challenge to faithfulness, as well as the solution, is the focus of the next post in this series. In my first round of research, the Cambridge Clarion was the Bible I was most interested in buying. Before my interest in Bibles developed into a full-blown blog post series, I was leaning towards buying one Bible: the Cambridge Clarion NIV. Of all the Bibles I’ve received over the past month or two, this is the Bible I was the most excited to see in person. The Clarion is available in the following translations: ESV, KJV, NASB, NIV, and NKJV. This review is of the NASB in black goatskin. As far as size, the Cambridge Clarion is the most unique Bible I’ve seen. It is much more compact than other Bibles I’ve written about here. It is also noticeably thick, given the height and width of the book. The best way to get an idea of what the Cambridge Clarion is like is to image a thick mass market paperback novel, and then add about an inch of width to the page dimensions. If you like the experience of holding and reading a thick paperback book, this Bible is for you. The popularity of the Cambridge Clarion is largely due to its layout. The single column setting is extremely well done. The font size is 8.75, but reviewers commonly describe the text as feeling like it reads larger than that. I find it to be comfortable and easy to read. The layout is so beautiful that I almost forget that this is not just a reader’s Bible. The Clarion is a reference edition that has extensive cross-references throughout. The ability to put references in the margin, instead of a center column, is my favorite aspect of a single column reference Bible. In the single column layout, the references are less of a distraction in reading, but still available when needed. The Cambridge Clarion NASB is available in three editions: brown calfskin, black goatskin, and black calf split. The goatskin on my copy is tighter and less grainy than other goatskin Bibles I have. This is my least favorite goatskin of the Bibles I’ve reviewed. Don’t misunderstand me. This is a great leather cover. If this was the only Bible of this kind I had, I would be delighted to own it. I like the simple elegance of the text on the spine and the lack of text on the front cover. The spine also has faux bands or ribbing. I like the added texture that these give, though I would prefer actual raised bands, like the Cambridge NRSV Reference Edition has. This is an edge-lined Bible, which means it has a hinge. (For a detailed discussion of my frustrations with hinges, and an exceptional hinge, see this post.) I would describe the hinge on the Clarion as slightly above average. It is better than some I’ve seen, but not in the same league as the Cambridge NRSV Reference Edition I reviewed. I really like the art gilt (red-under gold) page edges on Cambridge Bibles. I’ve seen the red described as salmon. It is lighter. And I think it is gorgeous. The only problem with art gilt pages is that they seem to be the most susceptible to damage. My Clarion already has some damage. And I have no idea how it happened. While I would never damage the gilt intentionally, I’m not overly concerned about it. My goal is to read and use this Bible. Protecting the Bible will always be a secondary priority to reading and using it. One last minor quibble: My first impression was that there needed to be more room for the text in the gutter (where the pages come together). The more that I read this Bible, the less I notice or think about this. I also realize something has to give with the host of factors that go into designing a Bible. I would certainly not want the font to be any smaller, or the spacing between lines to be any tighter, for example. I have also found that this is significantly offset if you roll one part of the Bible back around the other part. And the limp flexible cover makes this easy to do. The Cambridge Clarion is one of the most versatile Bibles that is currently available. The elegant design and layout makes reading this Bible quite similar to the multi-volume reader’s editions that are increasing in popularity. However, this is a one-volume Bible that also contains the study aids of references, text notes, and concordance. The compact size of the Bible also means that you can take it anywhere with you, without sacrificing readability. The Clarion packs all of this between the covers of a fine Bible that is elegantly and expertly crafted. The Clarion combines a single column layout with a fine binding in a reference edition that is both portable and readable. I have not seen any other Bible that is this versatile. If you are seriously considering buying a Cambridge Clarion Bible, you can often find them significantly discounted on amazon and evangelicalbible.com. For example, the black goatskin reviewed here was 47% off list price on amazon.com when this post was published. Cambridge generously provided a copy of this Bible in exchange for my honest review. When I first started learning about fine Bibles, Cambridge quickly rose to the top of the list of publishers that I wanted to get to know better. And based on the Cambridge Bibles I’ve looked at, they have yet to disappoint. Cambridge just about has the market cornered on fine editions of the NRSV at the moment. This is good news for fans of the NRSV as Cambridge has done a great job with their newest editions. Cambridge has a new NRSV reference Bible available in three options: a burgundy goatskin binding with apocrypha, a brown cowhide binding without apocrypha, and a black French Morocco leather without apocrypha. The brown Cowhide NRSV Reference Bible is the subject of this review. Goatskin is the gold standard for Bible covers. I have now had the opportunity to handle many different goatskin covers. And I have liked every single one. I was close to deciding there was no need to consider anything else. And then I got my hands on this Bible. It is not goatskin. And it is amazing! The leather is ridiculously soft and supple. I really like the color of the leather and the way the grain changes when you bend it one way or another. I am also a fan of the interior leather lining which is black and has an attractive grain. The Bible is edge-lined, which means that the cover has maximum flexibility. I even think the writing on the front cover works nicely, though I typically prefer a blank cover. I also think the amount of text on the spine is exactly right. And I love the raised bands on the spine, which are the most elegantly executed of any Bible I’ve seen so far. To my surprise, this is hands down my favorite cover of all of the Bibles I currently have. And it isn’t close. This Bible completely addressed the concerns I have had about the hinge on edge-lined covers. To explain this concern I need to first give a bit of background information. There are two main ways that the book block (the pages of the book itself) is attached to the cover. Paste-off covers have thicker pages at the end, where the last page is pasted to the cover itself. The cover is attached to the book block by glue with a board of varying thickness between the leather cover and the book block itself, which makes the cover less floppy and flexible. Paste-off book bindings are generally less expensive. Edge-lined covers attach the cover directly to the book block without gluing anything to the cover itself. This is accomplished by a tab that is part of the inside cover that is inserted and glued into two thick pages at the front and back of the text block. If this does not quite make sense, check out this excellent post, which has very helpful pictures. The tab that is inserted into the text block is often referred to as a hinge. The hinge is what has perplexed and frustrated me. The hinge is often extremely stiff. With the pages glued together, it can extend far enough toward the edge of the page that it mitigates the floppiness of the cover. Let me put it this way: Edge-lined covers are usually two pieces of leather sewn or glued together. They are marvelously limp and flexible. You can roll them up and they spring right back into place. One practical thing that a flexible cover makes possible is one handed reading. You can roll the front cover back around the book and roll the pages with it and read the book with one hand and not damage to the binding. This flexibility is one of the functional things that really differentiates this quality of Bible from bonded leather or genuine leather paste-off Bibles. So what is the problem? The hinge is often so stiff and inflexible that for an inch or two you cannot move the pages around the hinge itself. In effect, the hinge of edge-lined Bibles makes the pages less flexible than the cover, exactly the opposite of what you’d expect in a reading experience. You can roll the cover right around the back of the book. But you cannot roll the pages back with the cover because of the rigidity of the hinge. All of this had left me feeling some ambivalence about whether edge-lined covers were really all that much better than paste-off covers. And then I encountered the perfect hinge. The Cambridge NRSV has the best hinge I have ever seen. The hinge succeeds in providing a durable attachment of the book block to the leather cover, without making the text less flexible than the book. (See photos above.) I do not have any other edge-lined Bible where the pages conform nearly as closely to the cover as they do with this Bible. This may not seem like a big deal, but after handling multiple edge-lined Bibles, the hinge has been a consistent disappointment to me. It has often felt like a mitigation of the primary advantage of the floppy covers you get on edge-lined Bibles. This Bible makes the hinge a non-issue for me. The paper feels a bit thicker and more opaque than other similar Bibles. I found the text to be readable, though it is certainly not a large print Bible. The layout is double column and the cross references are in the center column. The use of small dots to divide the cross references from the text is attractive and more subtle than solid lines would be. I recently said that ribbons weren’t a factor in considering Bibles. After writing those words, I was surprised to find how much I loved the width and color of the ribbons in this Bible. I was also surprised to find myself wishing there were three ribbons instead of two. Aside from adding a ribbon, there were two things I would change if I could and one that I was unsure whether I would change or not. First, I would add room in the gutter. The text feels a little cramped to me in the middle of the book. Second, I would number the entire book consecutively. The page numbers start over in the New Testament and in the back matter. I think this is probably more of a feature that is typical of the NRSV than Cambridge, as neither of my other Cambridge Bibles restart page numbering. This Bible comes with a glossary instead of a concordance, which means that each entry has a short description or definition followed by a few references. I could not find concrete information on the number of Scripture references in the glossary, but I suspect that there are less references in the glossary than there would be in a concordance. On the one hand, I think I would prefer the most exhaustive concordance possible in a one-volume reference Bible. On the other hand, of all the reference Bibles I have acquired, this glossary is a unique feature and I can imagine being surprised at how much I use it. One of the most interesting things to me about the time I’ve spent on high quality Bibles has been learning how varying the support is for different translations. If I had had to guess at the outset which translations would have the widest array of options, I’m pretty sure I would have guessed that the NRSV would be in the top two. In reality, the NRSV is one of the least supported translations in “fine” editions. This has been a surprise because the NRSV is the most popular Bible in mainline theological education and many mainline churches. If the NRSV is your favorite translation, you should give serious consideration to purchasing this Bible. You will not only get a great Bible, you will be investing in the translation itself and encouraging publishers to make this translation more available in a wider range of editions. After the time I have spent with the cowhide Cambridge NRSV Reference Edition, I am confident it will last and you will be glad you bought it. It is a great Bible with an exceptional cover. What unifies Methodism? This is a basic and crucial question in the current moment of Methodism, particularly The United Methodist Church. The importance of unity has often been asserted. However, denominational leaders who strongly emphasize unity have not always offered substantive theological reflection on what it is, exactly, that unifies us. Historically, I would argue that holiness, particularly the corporate pursuit of holy living, was the key to the unity of the people called Methodists. One of the key documents that gave identity to the people called Methodists from its beginnings was a short piece written as the Methodist movement was just getting underway, titled “The Nature, Design, and General Rules of Our United Societies,” which is commonly referred to as the “General Rules.” This document provided the basic framework for Methodists throughout Wesley’s lifetime. The “General Rules” were drafted as a means of quality control as the Methodist movement began to gain steam. The entire document is worth reading closely and with attention to detail. It can be found in its entirety here. The “General Rules” have received quite a bit of attention in the past decade. This renewed attention has mostly been cause for celebration. One downside has been the tendency to create slogans that distort the content of the “General Rules” themselves. Catch-phrase familiarity can obscure that this document was a practical guide to holiness that contained a specific list of behaviors and practices to be rejected and to be embraced in the daily lives of Methodists. Drunkeness: buying or selling spirituous liquors, or drinking them, unless in case of extreme necessity. Fighting, quarreling, brawling, brother going to law with brother; returning evil for evil, railing for railing; the using many words in buying or selling. The giving or taking things on usury – i.e., unlawful interest. After listing the “harm” that was to be avoided, the “General Rules” listed the concrete positive acts Methodists were expected to do (give food to the hungry, clothe the naked, visit or help them that are sick or in prison, and more) as well as the specific practices (public worship, the ministry of the Word, the Supper of the Lord, prayer, searching the Scriptures, and fasting) by which all Methodists pursued a deeper relationship with God. 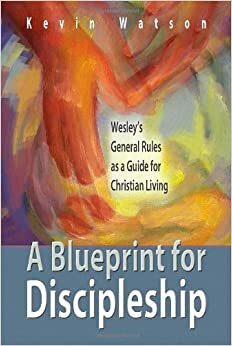 Wesley’s purpose in writing the “General Rules” was fleshing out what holy living looked like so that there could be sufficient clarity of mission to be unified in a meaningful sense. Throughout John Wesley’s life, and well beyond, Methodism was constituted by this kind of specificity. 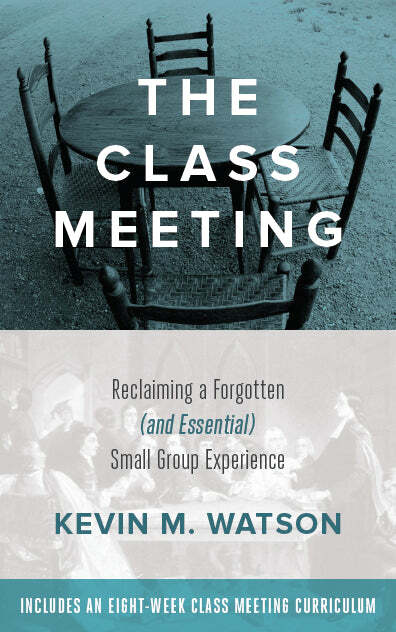 Methodists were deeply serious about what they did with their bodies, how they spoke, what they drank, how they used their money, how they treated others, and more. The ways Methodists were required to avoid harm were not common sense. And they were not in step with the culture of 18th century Britain. The “General Rules” show that unity was, at a minimum, about a corporate commitment to pursue holy living. Holiness was the basis for early Methodist unity. John Wesley did not believe Methodism could exist apart from clarity about what holy living looked like. So, how have we gotten here? How can any United Methodist say with any credibility that the solution to the denominational crisis related to gay marriage is to agree to disagree, to do one thing in some places and the opposite in other places? I wonder if one of the greatest threats to contemporary Methodism is the idea that we can have meaningful unity without agreement on holy living, that such incoherence and confusion is a kind of virtue, a form of tolerance and charity. The truth is that there can be no meaningful unity for the people called Methodists apart from a shared commitment to a specific vision for holy living, which inevitably includes sexual ethics. An attempt to be unified as Methodists by intentionally rejecting the possibility of unity around holy living is at the same time an abandonment of Methodism itself. Church, we have some celebrating to do! It is Easter Season. Many of you are probably thinking: What is he talking about? We just celebrated Easter. It is over. But did you know that Easter is a season and not a Sunday? The past several years I have been stuck on the contrast between the effort and energy that many Christians put into self-denial throughout Lent (the forty days, not including Sundays, from Ash Wednesday until the first Sunday of Easter) and the lack of effort and energy that is put into celebrating Easter as a season and not just a Sunday. My guess is that many laity do not know that Easter is a season and not just a Sunday. And that is ok. I am not here to shame you. But I’ve been wrestling for several years. Lent is intended to be six weeks of prayer and fasting that prepares us to receive the astonishingly good news that Jesus Christ has been raised from the dead. In most of the churches that I’ve experienced, it seems that Lent is ultimately preparation for one worship service. And, pastors and worship leaders, please hear this: It is an awesome worship service! My experience at Easter Sunday worship services over the past decades has been wonderful. Pastors, staff, and a host of volunteers pour themselves out and go home exhausted. I know. I am not trying to add more programming to your church. But I am haunted by a sense that to a world that is watching, we are not living like we mean it. If what we said on Sunday is true, how ought we to live? What kind of freedom and joy should we expect to be unleashed? Are we convinced, deeply convinced, that everything has changed? Are we walking in freedom from the ways of sin and death because Jesus has already broken the power of both? I think about Paul’s proclamation to the Corinthians. Paul described the impact of Jesus’s resurrection and what is coming at length in 2 Corinthians 15. See if you can let these words sink in just a little bit deeper into your soul today. If this is what Jesus has done for us, how should we celebrate? Can you think of anyone whose life would be different if they had an encounter with the God who swallows up death in victory? 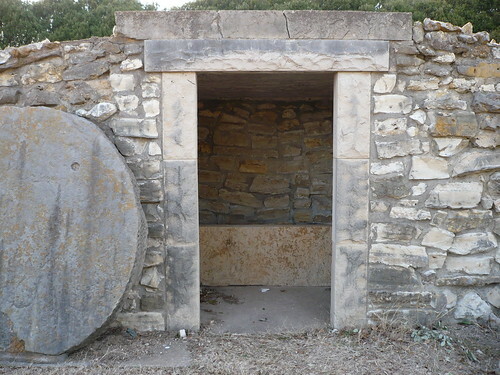 How would your life be different if the risen Jesus brought his victory where you most need it? If we really believed what the Scripture passages we read, the sermons we preached, the hymns we sing, and the liturgy says, we would have to celebrate, right? The world needs a church that knows how to celebrate, really celebrate, the best news that has ever been told. If we are honest, the church itself needs a church that knows how to feast and not just fast, that knows how to throw a party. The world has problems. The church has problems. The truth is we need a savior. We need saving. And we cannot save ourselves. But a savior has come. And he is for us. He has done everything that is necessary in order for us to be reconciled to God the Father and rescued from death and destruction. A broken and hurting world needs a church that knows how to properly celebrate what is truly good and able to change lives in deep and lasting ways. If we tell a story like we just told and then go eat lunch and return to life as usual, our very lives impeach the testimony of our mouths. Celebration is a gift. It is also a discipline. Lent is six weeks of preparation for Easter. The logic of Easter being a season is simple: If we fast for six weeks, we must celebrate the good news of Easter longer than we fasted. And so, in the church calendar, Easter is an eight-week season of celebration. What is one step in your control that you can take to practice celebrating the resurrection during the eight week season of Easter? Particularly if you used discipline and practice in order to bring focus and intentionality to Lent, how can you use the same skills to bring focus and intentionality to rejoicing for a season and not just a moment? May our lives outwardly conform to this reality.